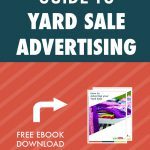 Congratulations, your yard sale is over and you made a decent amount of money. 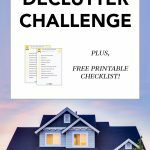 The only question now is “What are you going to do with all of the items that went unsold?” You have three options, carry the items back into the house (no thank you! ), junk the items or donate the items to a local charity. 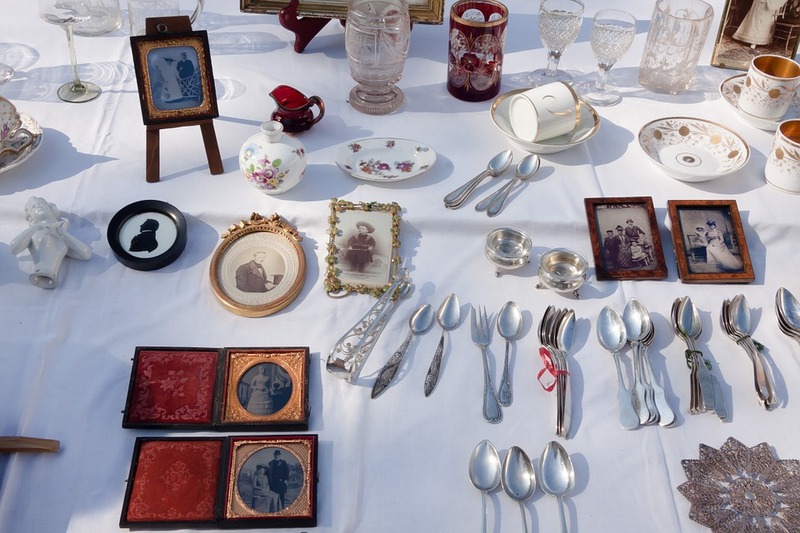 Out of all of those options, our favorite is to donate any leftover yard sale items to charity for reasons we will discuss below. Below you will find seven non-profit & for-profit organizations that accept household donations. A few of these organizations even offer free donation pickups. Goodwill Industries will accept donations of household goods, clothing and toys as long as they have not been recalled, banned & meet current safety standards. Goodwill accepts donations at any of their locations in-store or through community wide donation bins. Some locations even offer a local pick-up service. You can learn more about Goodwill’s donation policies here. 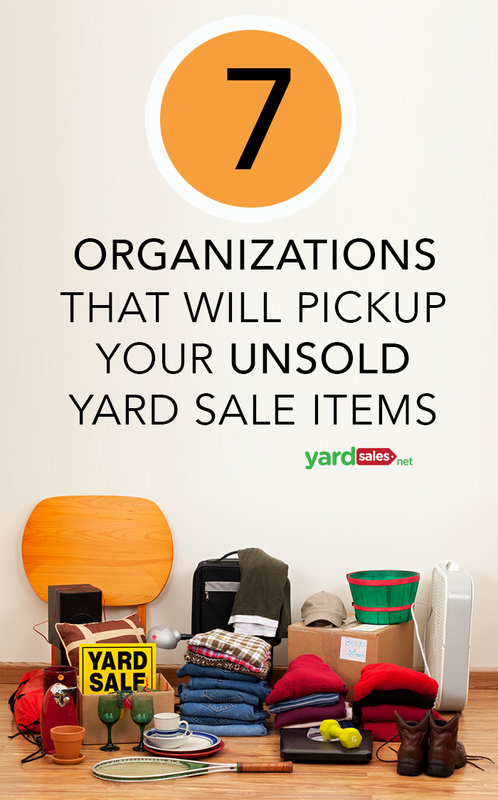 Not only does the Salvation Army welcome your unsold yard sale goods, but they even allow you to schedule a pickup for those goods online. 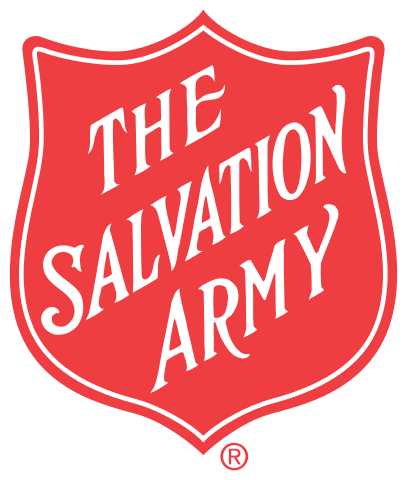 To make the most of this service, you can go ahead and schedule for the Salavation Army donation truck to make a stop at your house as soon as your yard sale ends. That way you can quickly fill the truck with the unsold items without having to lug them back into the house. The Habitat for Humanity ReStore is a great place to donate unwanted or unsold furniture, construction supplies or appliances. 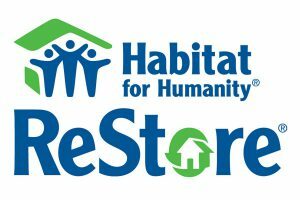 The ReStore resells these items to the public at a lower cost and uses the profits to fund the Habitat for Humanity projects. You can drop off your unwanted items at any Habitat for Humanity Restore location closest to you. Read more about the ReStore Donation Policy here. The Big Brother’s & Big Sister’s organization also accept donation items. They do have a list of what they will and won’t accept here, which you may want to reference before donating items. You can schedule a pickup through their online form or you can drop off your items at one of the designated BB & BS drop off locations. For more information, check out this page. The Vietnam Veterans of America accepts donations of goods in 33 states. They primarily accept clothing, toys, books & housewares. You can see the full list of acceptable donation items here. You can schedule a pickup of your goods online or drop off the used items at any of their locations. 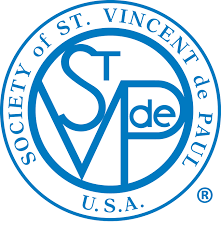 Saint Vincent De Paul operates many thrift stores around the country to help the poor and underprivileged. You can donate items at any of their locations. 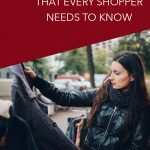 Read more about donating to Saint Vince De Paul thrift stores here. Next Next post: How to Move Across the Country Without Losing Your Mind!